Get ready for your own Lego[registered] Friends adventure! Build, play and learn all about the wonderful world of Lego Friends Lego[registered] Friends: Build your own Adventure combines great ideas for building with exciting stories. Get inspired to build with creative Friends-themed story starters, then play out your own Lego Friends adventures using your Lego bricks. 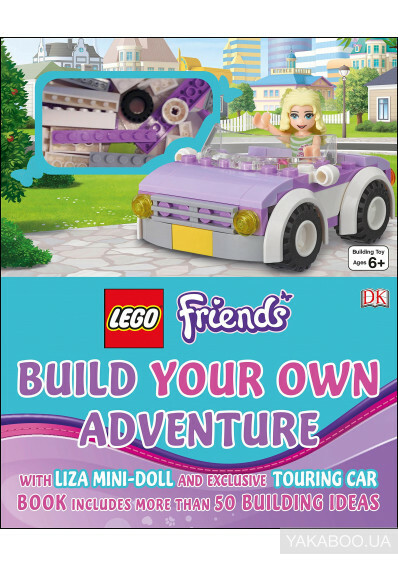 It comes with bricks that can be used to build an exclusive touring car model that appears throughout the book and a Liza mini-doll. From a camping adventure to the Heartlake Carnival each chapter is packed with inspirational model ideas ideal for all ages and building abilities, with a mix of easy, medium and harder models. Lego, the Lego logo, the Brick and Knob configuration are trademarks of the Lego Group. (copyright) 2015 The Lego Group. It is produced by Dorling Kindersley under licence from the Lego Group.